Product #6191 | SKU GSK-112 | 0.0 (no ratings yet) Thanks for your rating! Hosa GSK112 Speaker Adapter. The Hosa GSK112 is an adapter to work with PA amplifiers and speakers. This adapter allows a 1/4" phone TRS connection to adapt to a speakon connector. Speakon connectors offer a locking connection for security purposes in live amplified audio applications. 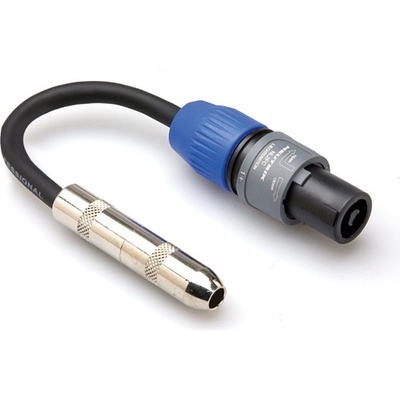 This device offers a female 1/4" TRS jack connected to a 6" 12 gauge cable and finished with a locking speakon connector on the other end.